Nineties, it was the decade of happenings. A lot of things were happening in India for very first time, from computers to first wireless call, coke, pizza, pepsi, MTV and so does the Maggi. Yup, the Nestle Maggi, 2 minutes noodles. It was also the decade of 90s, which played a great role in defining the cult status of Maggi noodles in India. And till 2015 after two decades, it became synonym to noodles in India. Now if someone want to ask for Yipee or Knor’s Noodles, they somehow ask, where is Yipee’s maggi or Knor’s maggi not acknowledging they are noodles not maggi. Here is my 2 minute story of Maggi noodles from its cult status to demise. 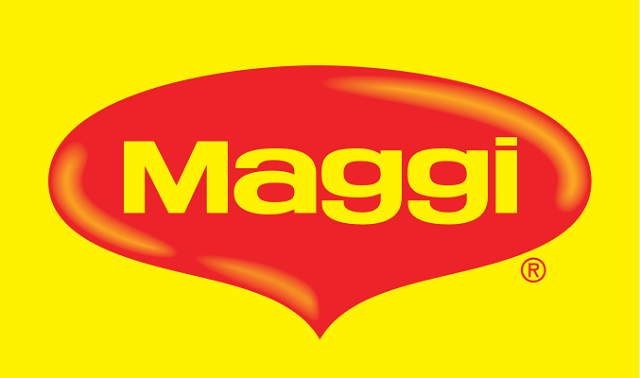 The original Maggi Story traces its roots back to 1982, when they sold their first packet for mere Rs. 2.10. But it was in 1990s, when things got spurged for Maggi, with entrance of Top Ramen’s noodles. It was first time when they have some threat in their monopoly but thanks to Top Ramen’s entry in Indian Noodles market. Maggi started aggressively advertising itself. Maggi targeted the kids. With their masaledaar taste and 2-minutes mantra. They targeted them, simply for the one reason, these kids who are in growing stage, one day will become adults, and their loyal customer. Maggi also targeted the working woman. A working woman, little frustrated with office tiresome work, and need to make something quick and good for kids to eat. Here comes the Maggi 2-minute solution. Somewhere in 1997, they changed this masala tastemaker with some other tastemaker. But due to raw outrage and fall in sales, Nestle brought back the Masala Maggi, with punchline, Wahi Masala Phir Se. But Maggi never got its cult status because of these targeted groups, but because of college students, and new IT youth of India. College students, who were short on their pocket money, always find Maggi a better option than Daal-Roti-Chawal, which was easily available and pretty cheap. And thing to bond over in canteens and hostel rooms. Similarly, the new working class, like young IT professionals, who do not know how to cook food, find the maggi pretty comforting food and great substitute to their diets. It was around 2005 or 2006, when they first faced the farce over health issues of Maggi, they came up with brilliant advertising concept of Taste Bhi Health Bhi, describing the nutritional values of maggi. In same time, around 2006, they came up with Maggi Atta Noodles and other variants to go along with healthy food brand image. Now fast forwarding to 2015, before this 2-minute demise of Maggi noodles, Maggi holds more than 75% of 3500 Crore Indian Noodle Industry. The problem as they state Maggi contains lead, far more than permissible limit. And in some cases, it is 7 more than permissible limit. It might sound defensive, and in favor of Maggi, but in India, there is excessive use of fertilizers, and most of the farmers use them without acknowledging the harmful effects of these heavy fertilizers, which contains lead, arsenic, cadmium in some amount. And in this manner, these heavy metals flows into food chain. As a food brand like Nestle, don’t want to put lead consciously in their products, and make money. So this is not where we can blame them. But the real fault of Nestle lies where they knowingly or unknowingly reasons best known to them, pass such sub standard raw materials in manufacturing units, and then on our table with cute packaging. I suspect, such errors might happening in other cases too like Yipee, Knor’s Soup Noodles, Chings Noodles and Top Ramens, reasons only best known to them, and I believe these food brands and their products should also come into the scanner, just like Maggi. And if they are not following such practices, the 2-minute Maggi disaster would be a future learning to them to invest in quality. But the basic fact remain ignored, the excessive use of fertilizers by our farmers, and where no one is pointing out. And if you don’t know about chemical fertilizers and their harmful effects. Read here at NBC News, here at Greenpeace, here at Sean Gallagher, about the Punjab Chemical Disaster.